Receive (2) $25 gift cards for only $25. A 50% Savings. 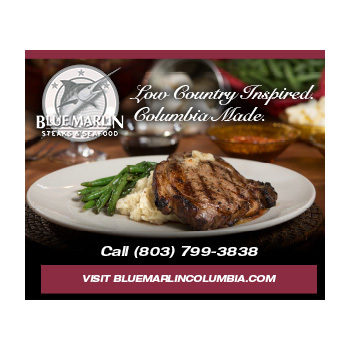 A local favorite, enjoy a true taste of the best Columbia has to offer. Enjoy! 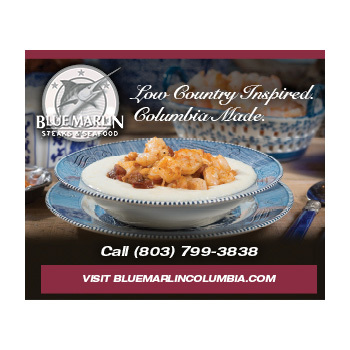 Classic Southern seafood made with locally sourced, sustainable fish, in contemporary environs; a Columbia SC locals favorite! The aroma of Low Country flavors coming out from the back kitchens could not be ignored. Legend holds that the wealthy English, German and French plantation owners along the Carolina and Georgia coasts preferred a blander European cuisine, but while they dined in all their elegance, the aroma of Low Country flavors coming out from the back kitchens could not be ignored. This simple fare, created from what the good earth provided, is still a hallmark of the Southern kitchen some three hundred years later. 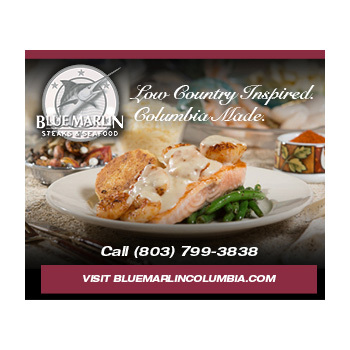 We are proud to bring the flavors of this fare to you at the Blue Marlin. As you enjoy our signature dishes, you will experience the finest blend of African, West Indian and Caribbean flavors. Continuing in the vein of this delectable cuisine, we also feature many dishes with the Cajun and Creole influence of the Louisiana Delta, a region just as rich in unique flavors and seasonings as the South Carolina Low Country.